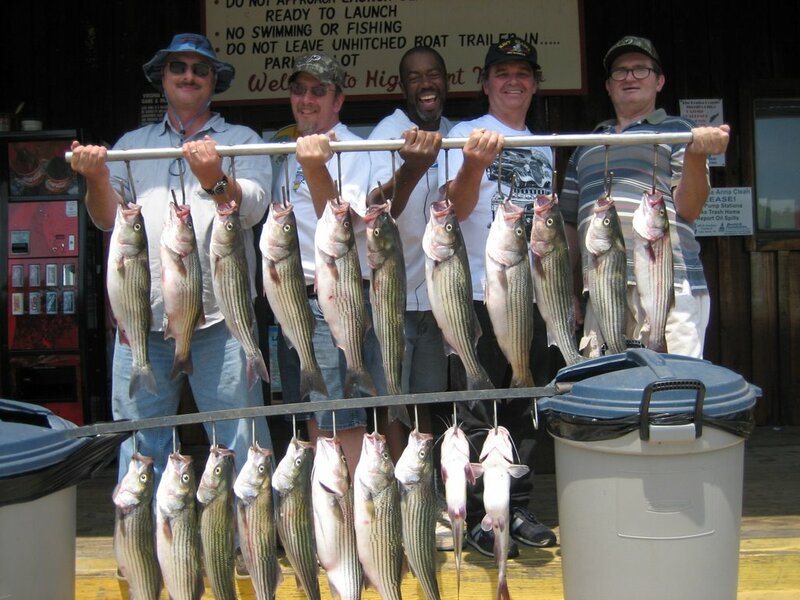 Caught bait early and picked up clients at 5:30. Went uplake to search for schools but already their was alot of boat traffic on the water. Looked for fish for 35 minutes and could not see anything but small pods of fish so I decided to move to deeper water. Clients were very patient while I was looking . I couldn't put any large schools together so I just decided to keep looking till I found what I wanted. I burnt a half a tank of gas until I found some pods of fish so we put downlines on them and started to get hits. Action was slow but steady so we stayed with it . I knew fishing had to be tough due to what I was seeing on the depth finder and knew it would not get any better due to the boat traffic . I ended up using the rest of my fuel up looking for sparce schools of fish and hitting the schools when we found them. 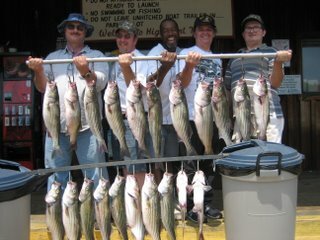 Clients ended up with at least 100 hits, catching 27 Stripers and 7 Cats , keeping 19 Stripers to salvage the day.